We've seen plenty of examples before - and duly commented on many of them in other threads in this forum section. But I thought it might be an idea to have a separate thread for the REALLY SILLY ones. $90 shipping !! .... plus if you got stung by UK Customs, there would be another 20% VAT to pay on top of that $114.87 total. Funnily enough, guess what I spotted this afternoon ? 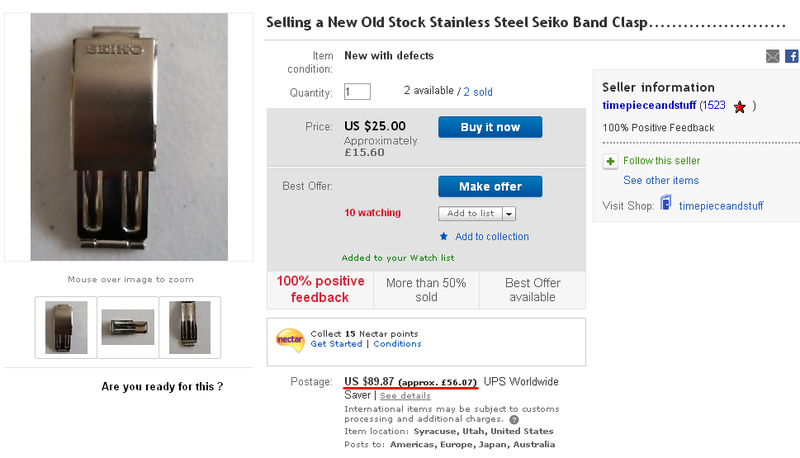 From the same US eBay seller timepieceandstuff !!! 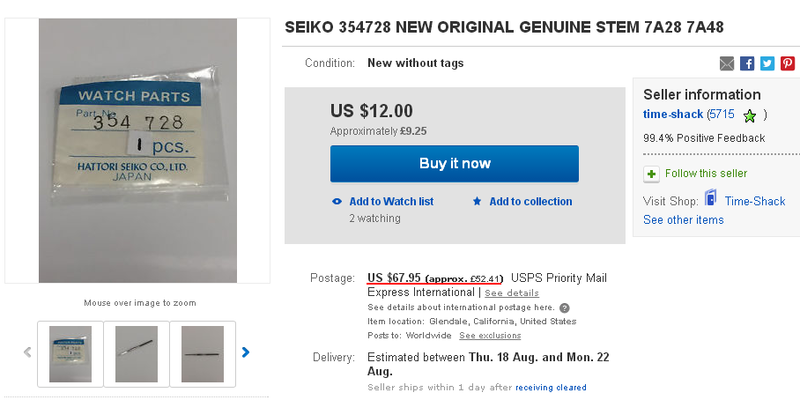 Another couple of examples of what can only be described as classic cases of gross stupidity by a US eBay seller, time-shack. 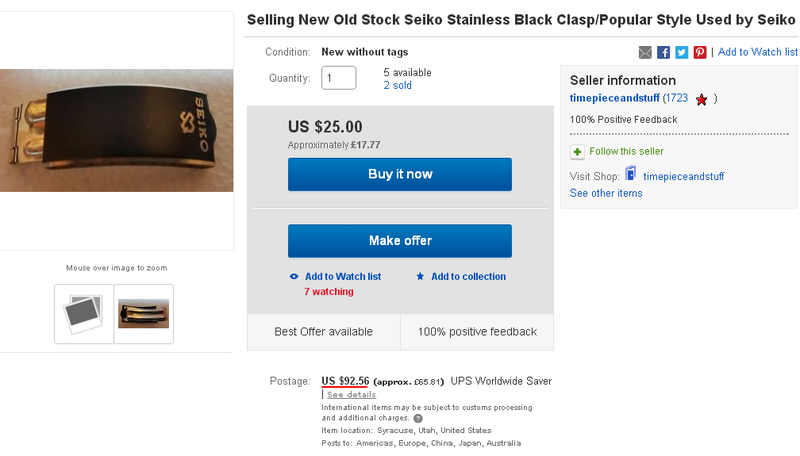 Not only are his asking prices DOUBLE what might be deemed reasonable, but the postage is an absolutely ludicrous US $67.95 (approx. £52.41) per item !! - Not only that but in terms of actual postal costs, both items weigh just a matter of a few grams ! For those who don't recognise the part number of the first item, although the seller states 'Arnie' in the title, these pusher O-ring seals are also used on a good many 7A28's, 7A38's and 7A48's.